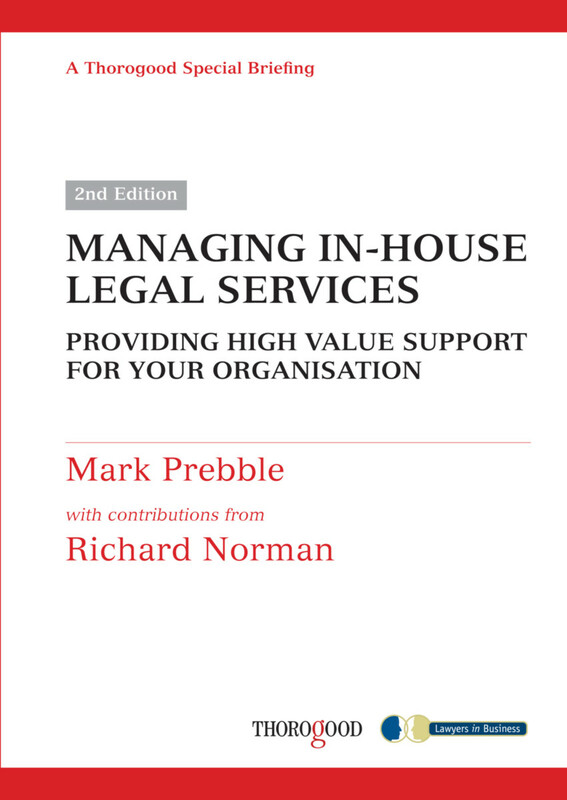 Managing an in-house legal department can be hugely stimulating and fulfilling. It can also be very stressful and fatiguing. It is tremendously important to take time periodically to step back from the day-to-day activities, which seem so pressing, to chart a way forward for the delivery of legal services to your organization and to really consider the development of your team’s – and your own -performance. * How the law and in-house lawyers are perceived by business people. * The relationships between in-house lawyers and private practitioners and the ability to move between in-house and private practice. Mark Prebble was employed for 21 years as an in-house lawyer, during which time he worked for ICI and The BOC Group plc in the UK, and Biogen and SGS in Switzerland. He held the positions of General Counsel at SGS and Group Legal Adviser at The BOC Group plc. In 1998 he set up Lawyers in Business, an organisation dedicated to developing, coaching and supporting in-house lawyers and promoting more effective use of legal services by businesses.